Cluck cluck cluck cluck cluck… it’s chicken time! 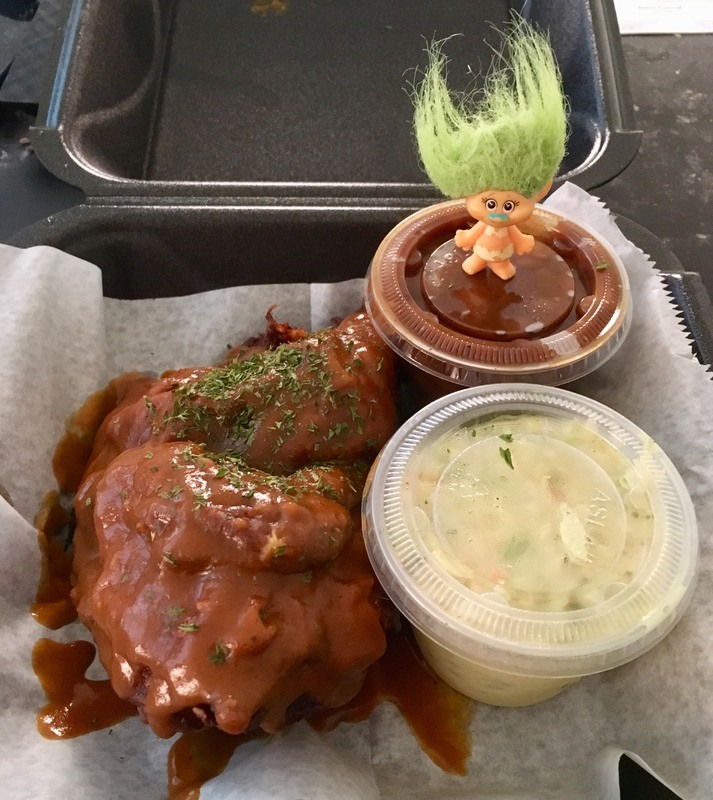 I had been wanting to try a deep-fried Cornish hen from the Flying Sobies food truck for a while, and today I got my chance. I walked over to Court Square for the food truck rodeo today. I normally prefer my chicken in buffalo sauce, but I had been told, “You MUST get the Memphis Gold BBQ sauce.” It was good advice. The hens are $10 and you can get them with beans & slaw, fries, or waffles. The truck is at Court Square most every Thursday and at Ghost River for brunch every Sunday. WHO DAT goin’ to Loflin Yard to watch dem Saints? Loflin is having a Who Dat Party for Thursday Night Football tonight starting at 5 PM. New Orleans cuisine including gumbo, po-boys, and a shrimp boil, $2 Bud Lights, drink specials including Sazeracs and Irish coffee, and DJ Tree. Broke Tall Folk perform at the Dirty Crow Inn tonight at 8. Belle Tavern will be open for St. Jude runners Saturday morning and will be a safe place for you to stash your stuff while you run. By the time you get back they’ll have brunch ready. The national craft brewing community is coming together to brew Sierra Nevada Resilience beer to benefit those affected by the Camp Fire in California. 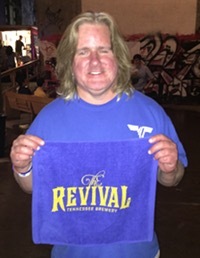 Local breweries Memphis Made and Crosstown are among those participating. Have a holly jolly cocktail! City Tasting Tours begins Holly Jolly Cocktail Tours this weekend. Tour participants will get to try three of the best cocktails in Downtown Memphis while parading around in ugly sweaters and Santa-themed attire. Stock & Belle at 387 S. Main will host MOD: A Rowdy Mid-Century Seasonal Shindig on Thursday, December 13 from 7 to 10 PM. Enjoy some cocktails and have a look at the mid-century furnishings of Caleb Sweazy. This event is $20 at the door and benefits One Tree Planted. For those of you who don’t mind a few hours’ drive, there will be a chocolate festival in Eureka Springs, Arkansas on February 16. The lawsuit between MillerCoors and Pabst has been settled, as I knew would happen. Pabst Blue Ribbon is not going away. Trump’s former lawyer/fixer Michael Cohen entered a guilty plea to lying to Congress this morning. Cohen admitted negotiations for a Trump Tower in Russia continued far later than he had previously testified, well into the 2016 presidential campaign. Just goes to show you, liars will eventually get what’s coming to them, even if it takes years. Those who know liars are lying and enable them will get what’s coming to them, too.